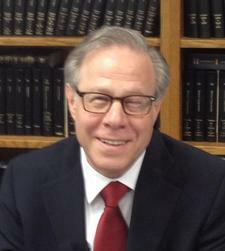 ​Forty years in private practice representing a wide range of small to mid-size businesses. I do transactional work and commercial litigation. My transactional work includes negotiation and preparation of business agreements such as shareholder or partnership agreements, purchase or sale of businesses, employment agreements, leases and many others. Litigated matters have involved prosecuting or defending lawsuits arising from business disputes. These have included: disputes among shareholders, partnership breakups, termination of beer distributorship agreements, enforcement of non-competition agreements, disputes arising from commercial leases, a cable TV franchise, urban renewal, real estate development, and many others. I have always believed that a good lawyer wins in court but the better lawyer keeps his client from having to go to court.